Generally, very goodsubmitted by Thomas F. - Sep 21, 2016 |Recommended: YesA nice place to live. Good locationsubmitted by Subhodeep G. - Jan 24, 2016 |Recommended: NoGood location, but not worth the price, lack of parking, too noisy , no lift, no community. I love my unit submitted by Andrew F. - Dec 29, 2014 |Recommended: YesFirst thing i have to say is I am amazed how well constructed these rental units are. Very spacious for the price, some people here are complaining about the price and parking space but seriously if you have not lived in NYC before there is no need to complaint, be happy with what you got. I got my own driveway and garage so i cannot complaint about the parking space. Very well maintained and clean. The only complaint i have is that the fridge needed some work is not even cooling at all and has alot of dents on the outside, i hope they come and fix it soon. Overall I am pleased with Camelot at Federal Hillsubmitted by Towanda Y.  - Jul 03, 2013 |Recommended: YesI am pleased with Camelot at Federal Hill. The neighbors are pleasant, the hallways are always neat and clean and the property is well kept. Very clean and well kept.submitted by Jason C. - May 31, 2013 |Recommended: YesIt's a nice community. Its a excellent place to livesubmitted by Stefanie T. - May 24, 2013 |Recommended: YesI love living here. Great place to live.submitted by Prabakaran V. - Mar 21, 2013 |Recommended: Yesits a great place to live. the apartments are planned and built to perfection. all the appliances/floor/windows are excellent and are of top quality. the location is awesome. its near to train station. also NJTP/GSP is very near to the apartments. Maintenance is really good. You wont have any problems with apt, even if you have some thing they fix it ASAP. guys in leasing office are always helpful(I just know ken.). the only issue there is less parking. if you have a guest or two in the weekends, you have to park in the streets otherwise your car would be towed. Great place.submitted by Carol - Dec 13, 2012 |Recommended: Yesi totally love my apartment and everything that comes with it. everyone around minds their own business. you don;t hear noise from anywhere. i work in new york, you can walk to the train station or drive for literally 3 minutes (i drive). if you are a resident of perth amboy, you can apply for free parking. -- it's easier to transfer at woodbridge for an express train into ny, only one stop in newark, however there is no express train returning home. the maintainace guys are really nice, we met when i moved in and they were very pleasant. the cons: the parking spots should be marked. the parking situation could be horrendous if you have a guest or two, that's what i don't like about it. NICE PLACE TO LIVE, GET WHAT YOU PAY FORsubmitted by PHILLIP F. - Dec 02, 2012 |Recommended: YesTHE APARTMENTS WERE CONTRUCTED TO ACTUALLY BE SOLD , SO THEY ARENT THE USUAL CARDBOARD STYLE WALL , CHEAP MATERIAL APARTMENTS YOU MIGHT SEE ELSEWHERE. THE WINDOWS AND DOORS ARE VERY WELL SEALED, IN FACT THE DOORS EVEN MAKE A SUCTION SOUND WHEN YOU OPEN THEM DO TO THE AIR TIGHTNESS. PARKING CAN BE DIFFICULT IF YOU GO OUT LATE OR COME HOME LATE. IF YOU WORK NORMAL BANKERS HOURS YOU WILL BE FINE. MAINTENANCE IS EXCELLENT, THEY WILL FIX THE SAME DAY SOMETIMES WITHIN MINUTES. It's beautifully kept, secure and in a very convenient location. submitted by Stephanie G. - Aug 23, 2012 |Recommended: YesI love it. It's a very cozy but spacious apartment with beautiful fixtures and finishes. I love the convenient location to nearby stores, the waterfront and eateries. So far I absolutely love living here and I'd recommend it to anyone looking to live in this area. I like the apartment.submitted by Amaryah J. - Sep 01, 2011 |Recommended: YesThe apartments are nice, but there is limited parking. Unfortunately, the commute to NYC is not great either, but that's mostly NJ Transit's fault. It would be great if Camelot was located closer to NYC and to the path trains.